Don’t let the miles between you and that special person in your life prevent you from celebrating their birthday and making them feel loved and cherished. Here we have an abundance of beautifully written and hundred percent original birthday greetings to make the commemoration of a loved one’s big milestone from a distance fun and truly glorious! Our bond grows stronger and better with each passing second although we are miles apart. It’s all because the cord God used in binding our hearts together is an extraordinary one. Have the best birthday celebration ever, my dear! You may be out of sight, but I wake up every day with you in my heart and mind. 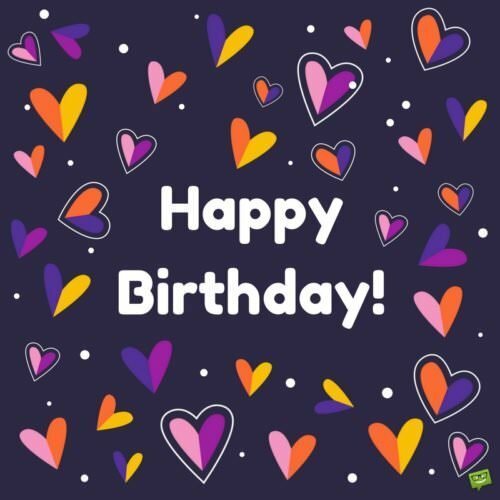 Have a wonderful birthday celebration! Think not of the cruel distance between us and have yourself a super duper birthday celebration knowing that you mean the world to me! We might be miles apart today, but that special place reserved for you in my heart will never be taken over by anyone. I wish you all the happiness under the sun. Happy birthday! Distance can only be a barrier that prevents me from physically being by your side but it can’t hinder me from loving you and celebrating this important day of yours with you. Have yourself a gloriously beautiful birthday. On your birthday, may you be immersed in a pool of joy, laughter and happiness. I miss you so much! Happy anniversary, my dear. I might be physically far away from you, but I am definitely with you mentally. Have a magical birthday celebration today! Our bond is so exceptional that despite the miles currently separating us, we are really never apart because we live in each other’s hearts. I wish you the most fabulous birthday ever! Enjoy every millisecond of it! If I had a wish, it would be to be right next to you on this truly important occasion of yours and party the night away with you. I love you so much. Have a glorious day. Wishing you terrific times on your birthday travels. The distance between us today might have achieved its aim of preventing me from physically being with you, but it will never be powerful enough to prevent me from being with you in spirit as you commemorate this special day with merriment. Have a wonderful time. Because you are always on my mind and in my heart, the miles between us means absolutely nothing. I wish you good health, peace of mind, and happiness as you celebrate the most important day of your life! 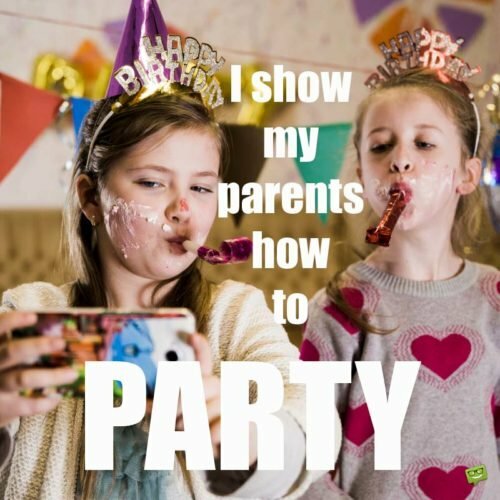 How I wish I was the one planning the party decors with you like we always did. I miss you so much. I pray that your day will be as beautiful and wonderful as your presence is to this world. I might not be able to be with you on your birthday, but I promise you that it’s going to be superb because my warm wishes are going to be all around you making sure everything goes on just as planned. Happy birthday! 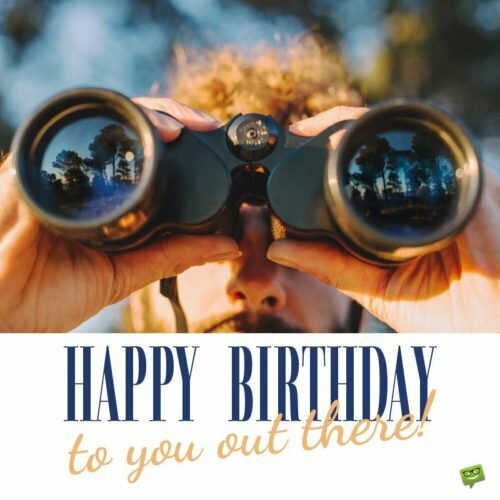 From a distance, here’s your boyfriend/girlfriend wishing you the best of birthday celebrations! May your birthday this day mark the beginning of remarkable blessings in your life. I love you endlessly. Happy birthday! The biggest enemy between us now is distance. But the good news is that the enemy shall never win, for our friendship/bond/union/love will always overcome it. So from a distance, I wish you the most joyful birthday ever! Distance can stop me from getting to you on your birthday, but it can never stop prayers from getting to you. My dear, may the heavens bestow blessings upon blessings of happiness on you all the days of your existence! The sun in my world shines brighter today because it knows that one of the most important persons in my life is celebrating his/her birthday. Have a great one, dear! You are miles and miles away from me today, but I can still feel your presence because you are always in my heart. Happy birthday. You might be out of my sight, but you are always in my mind and in that special cell of my heart, which only you occupy. Celebrate your birthday today knowing that I will treasure you until my dying days. From a distance and from the depths of my heart, I pray that your birthday is a fabulous as our relationship/bond/union. Happy birthday from miles away! May every second of your special day be brimful with real happiness – and may this happiness spill over and accompany you until the end of time. We cannot be physically together to celebrate this outstanding day of your life, but we can do so in spirit. Happy birthday. Though several miles have forced their way between us, they shall never break our bond, for our bond is programmed to last a lifetime. Happy birthday. The only place in the universe where I wish to spend my life is in your arms. It is sad that distance is preventing that from happening. However, I take comfort in the fact that I’ll see you soon. I wish you rains of joy and laughter as you celebrate your birthday! May your face be brightened with smiles on your birthday, even in my absence. Remember that there is nothing in this universe that I love more than you. Happy birthday! 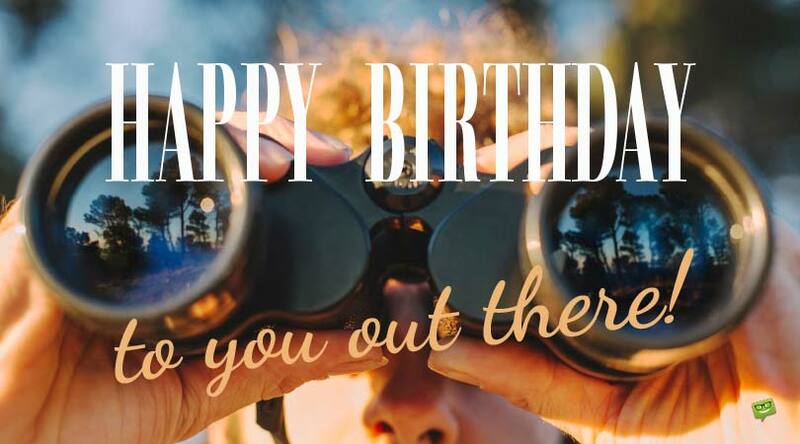 Happy Birthday to you out there! Nothing can ever take you away from my heart – not even all the distance in the universe. Such is how special you are to me. Happy birthday. You are the pillar, strength and centre of my life. No matter how far distance separates us from each other, you will remain an irreplaceable part of me. May your Big Day be as tremendously beautiful as your love is to me. Happy birthday, dear! Distance has hindered me from gracing your birthday with my presence. But have in mind that it cannot take away the sweet memories we’ve made together. Wishing you a mash-up of joy, happiness and laughter throughout your life. No words can ever convey to you how much I miss you today. Happy birthday. We are far away from each other, but still very close to each other. 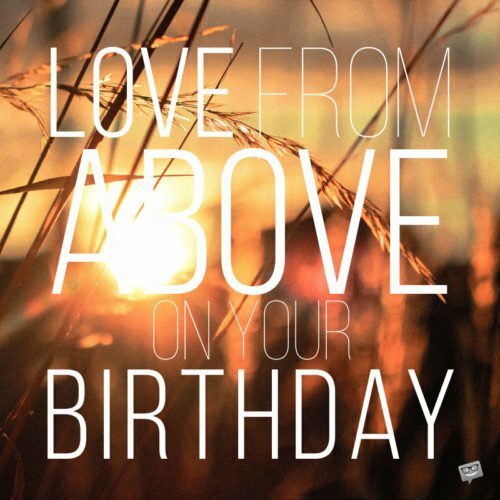 Have a fantastic birthday! For a moment, forget about the cruel interval between us and make your anniversary one of the most joyful occasion of your life! Happy birthday!